Below are a some images from this past weekend! We put on Victory’s fleece, boots, and hat and went for a walk in the snow! Once she got moving, she did well. However, her hat had to come off as it was impacting her orientation while walking in the snow; and because of the depth of the snow her fleece boots started to come off so we took them off so we would not loose any! 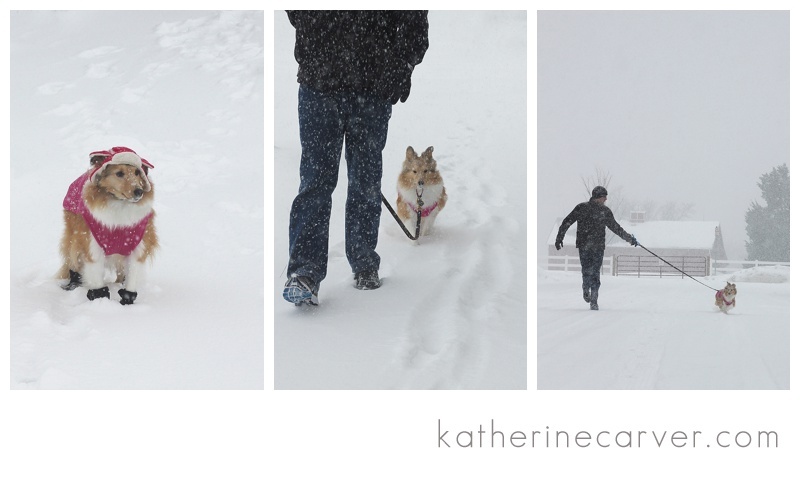 This was the first time we really got outside in the snow with Victory! However, I think that we are all ready for warmer temperatures!